A bright turquoise blue which is suitable for soaps, bath bombs and salts. Test small batches when using with salt. 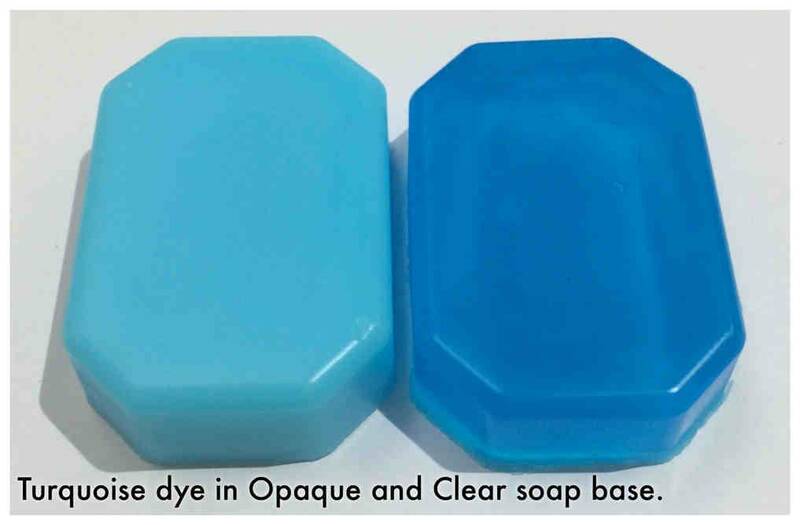 This colour will give different effects in clear and opaque soap base.